Is it true that we get more comfortable in our skin as we get older? Hopefully we do, but many of us look to be more comfortable in our skin right now. 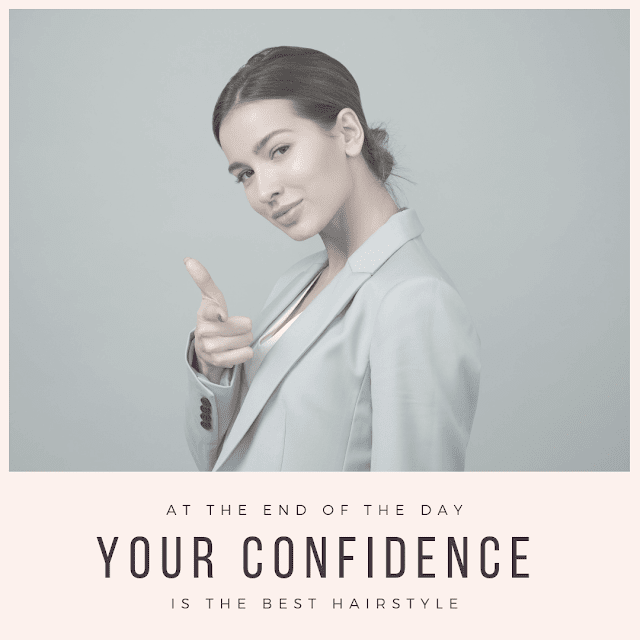 While it may feel like everyone else on the planet has more self-confidence than you, many people look to build higher self-esteem, including me. 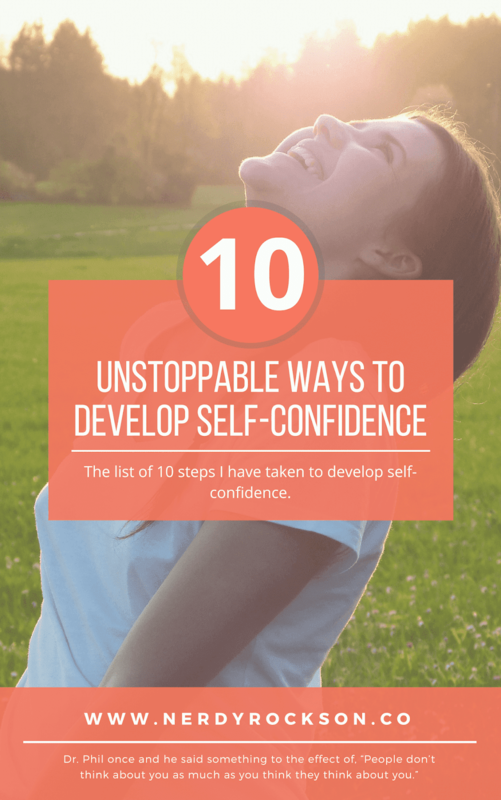 I have worked hard to overcome shyness and I would like to share the list of 10 steps I have taken to develop self-confidence. What do you love to do? Determine whether your interest is photography, basketball, video games … whatever! Figure out what makes you tick and practice it enough to feel very confident in your abilities. Have you ever read about the practice routines professional athletes put themselves through each day to reach and stay at the top of their game? They work very hard. Those stories are a testament to focusing and a mastering a skill. Being a master at something will certainly boost your self-esteem. Do you ever get nervous before a speech, interview or asking someone out? If so, take a few moments to practice these Power Poses beforehand. (And please note, you will feel silly the first few times you try it, but they do work.) Find a secluded spot (bathroom, empty room, etc.) and make your body as large as you can. Stand with your legs shoulder-width apart and either raise your arms above your head and reach for the sky or boldly place your hands on your hips like Wonder Woman. Now hold this position for a few minutes and breathe. Your body chemistry will change and make you feel more powerful. Amy Cuddy, a Harvard Business School social psychologist, speaks that maintaining power poses such as these for a few minutes can cause neuroendocrine and behavioral changes for both males and females. Give it a try! Now step 3 and step 4 have to go together. If you walk around with a smile on your face, but look at the floor when people walk by, they may get confused and think you are hearing voices. If you LOOK at them with a smile on your face, a very strange thing happens … they usually say Hi! And, even if they don’t, it still leaves an impression of your self-confidence. You may even start saying Hi! yourself! If you are trying to develop self-confidence, mastering small talk is a must. Luckily, it is really not that hard if you just remember that people love to talk about themselves! Ask them something about themselves such as what their job is, about their family / pets, or what do they like to do for fun. Unless they are shy as well, it should get the conversation started. Be prepared to have answers to these questions as well, so that you can participate in the conversation. Most people do not “listen” to conversation to actually listen or hear what the other person is saying. Most people listen so they can formulate an answer. That means most are spending less time focused on what the other person is saying and more about what they want to say back. Try to make a conscious effort to truly listen to what the person is saying. This will make it easier for you to speak to them again in the future as you will probably remember something from the conversation…people LOVE that! If you are not eating right, not getting enough exercise, enough sleep or are otherwise not making healthy choices, you will not feel confident in your appearance or your health. This will impact your overall confidence level. If you make some time to focus on yourself and make good changes for your body and spirit, your self-confidence will soar! Once you feel better about your life choices, putting your look together will be a natural next step. Whether you feel good in casual looks or business attire, try to find clothes and hairstyles that allow you to stand proud. Conversely, if you are worried about your appearance it will shrink your posture and reduce your self-confidence. I notice this recently when attending a funeral. While the first outfit I chose looked nice on me, it made me wonder if I may draw unwanted attention to myself with its bold pattern. I chose a classic black dress instead and felt more confident the entire day. Do you have a reel of non-stop inner dialogue going about how you don’t look good, or you are not smart enough or whatever? You need to stop. Period. I heard a quote by Dr. Phil once and he said something to the effect of, “People don’t think about you as much as you think they think about you.” That statement has helped me when my inner demons start in. Nobody cares (for very long) what shoes you wear or if your manicure is perfect. Do not let these small details keep you from moving forward. If you are hearing active criticisms frequently from others around you, please see step 10. We all need support. It may be from family, friends, co-workers or even your social network, but try to find others who can encourage you when you are not feeling confident and cheer you on to grow personally. If you are surrounded by people who criticize you, cut you down or hold you back from being your true self, then your self-esteem will certainly suffer. Please look to remove those relationships from your life so that you can grow in positive ways. If you need help, please seek the assistance of a trusted adult or counselor. 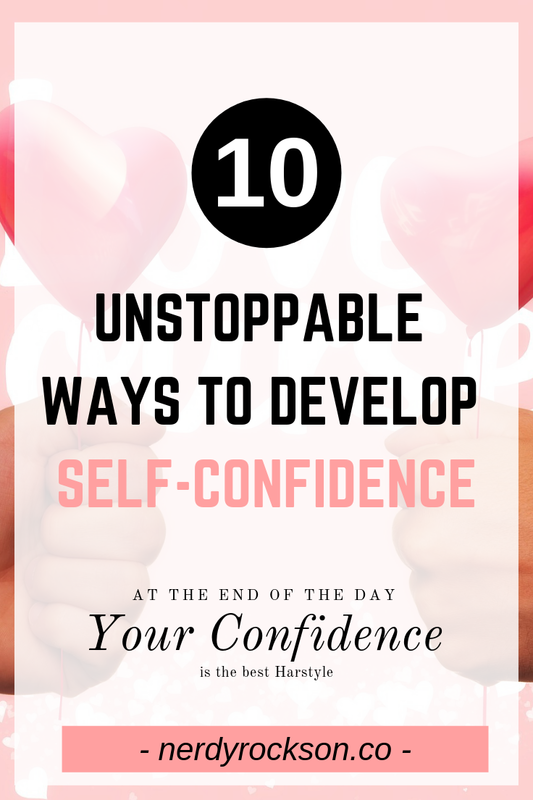 There you go, 10 steps to a better, more confident you! I guarantee that if you put even half of these tips together you will be unstoppable! Go ahead and give these a try. I am sure you will begin to develop self-confidence. I would love to hear your success stories or your own suggestions in the comments below.